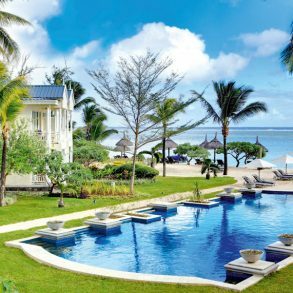 Affordable luxury Mauritius holidays at the Heritage Le Telfair. Complimentary Green Fees on the 18 hole championship golf course. 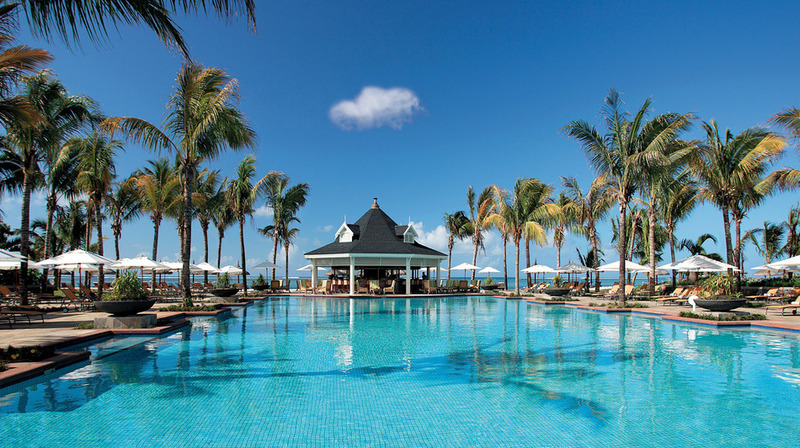 Le Telfair Golf & Spa Resort is situated in the Domaine de Bel Ombre which is surrounded by impressive landscapes. The foothills of the Plaine Champagne mountain descend in a sheer drop of over 500 metres. 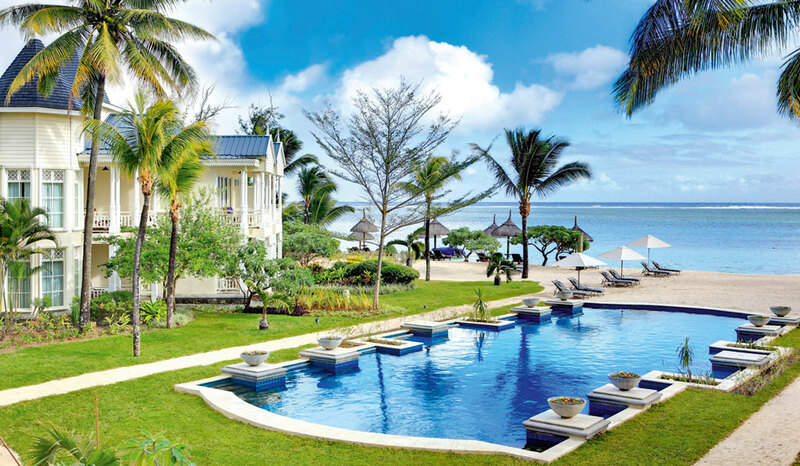 The sheer vastness of the Indian Ocean stretches on the other side of the resort to the horizon. 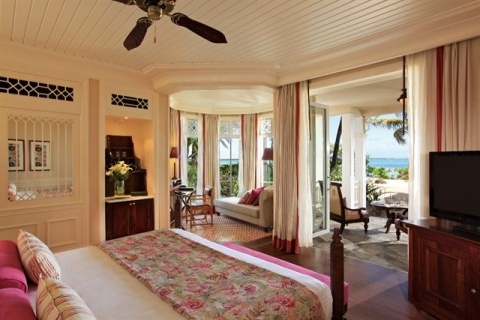 After extensive renovations the Heritage Le Telfair re opens as a superb luxury resort at an exceptional ‘special’ rate! 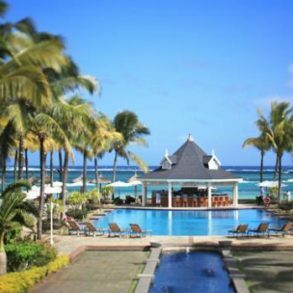 It offers an 18 hole golf course, a Beach Club, 7 superb restaurants & a holistic approach to wellbeing. There is also a new Kids Club and baby & teens corner. And it is on one of the most pristine stretches of beach of the island. 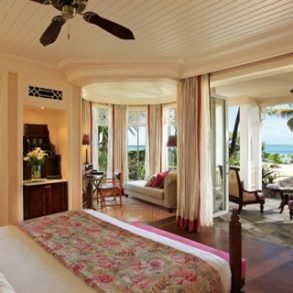 Each Deluxe bedroom has a spacious en-suite bathroom with bath, shower and separate toilet. Some rooms have a sofa bed for up to 2 children under 12. A single adult extra bed can also be placed in the room. Baby cots can also be requested. Some rooms have sea views and others enjoy views of the river. The rate varies depending on room location. New enlarged Kids Club. FREE baby sitting service at Kids Club for 0 – 2 yrs. Rooms are in villa clusters of 6 or 8 rooms. 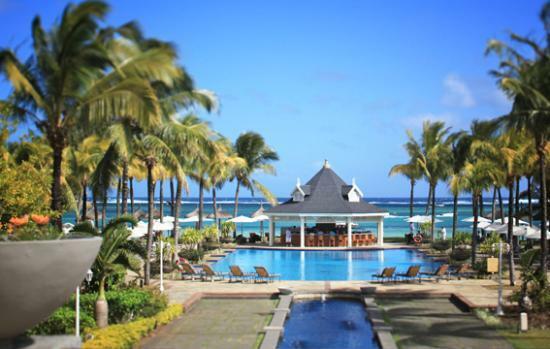 Located between sea and nature, or between the golf course and the lagoon. Butler service is also available 24 hours a day. An outdoor shower is available in all Junior, Senior and Ocean Suites situated on ground floor. 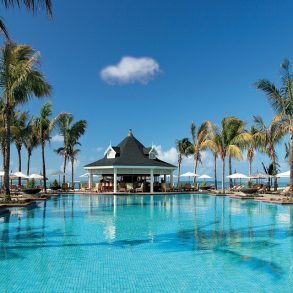 Lunch in selected outlets and dinner within the Domaine de Bel Ombre (exclusions apply) at Annabellas & Gin’ja, Zafarani at Awali, Steak House (as per opening days), Cyan & Coast (seasonal) at C Beach Club and Chateau de Bel Ombre.